The Kerala Regulation of Hartal Bill Draft has been published in Kerala Legislative Assembly web portal. Comments and Suggestions from the members of Public are also invited which may be submitted to Secretary, Select Committee, The Kerala Regulation of Hartal Bill , Niyamasabha Secretariat, Thiruvananthapuram, before 5th February, 2015. A questionnaire is (in Malayalam) also seen published seeking suggestions from the public. 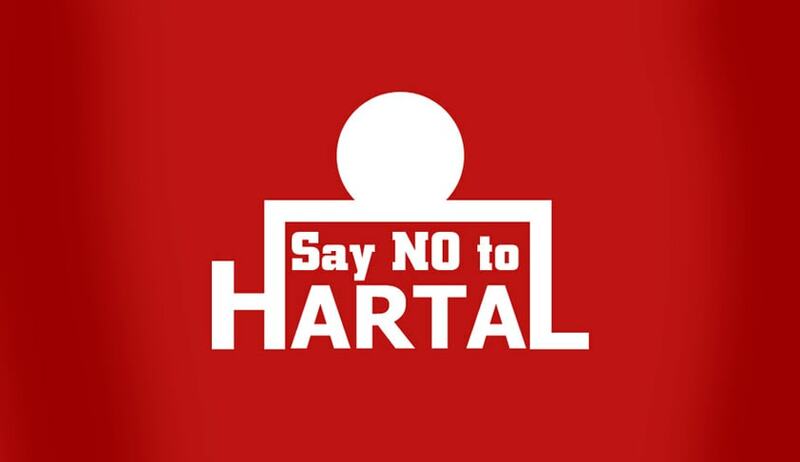 Section 2 of the Draft Bill defines a Hartal as a “cessation of activity in any form or of business or occupation or service, at the instance of any other person or organization, for the purpose of creating public pressure, social tension, economic intimidation or apprehension of violence in order to advance a cause or a campaign sponsored by the organizers of the hartal”. However Trade Union Strikes do not fall under the ambit of the definition by virtue of the explanation appended to the section. Cannot deter or obstruct or cause to deter or obstruct the utility services or normal functioning of any public institution. Section 6 of the Draft Bill says that, if any one prevents the exercise of anyperson’s legal rights using force or threatening to use force during hartal hours, the State police or other law and order authorities of the State shall, on request by such person or persons shall help him for the exercise of such rights. The Bill also says that any failure in this regard shall be treated as a dereliction of duty on the part of the officer concerned. Read the Draft bill here.